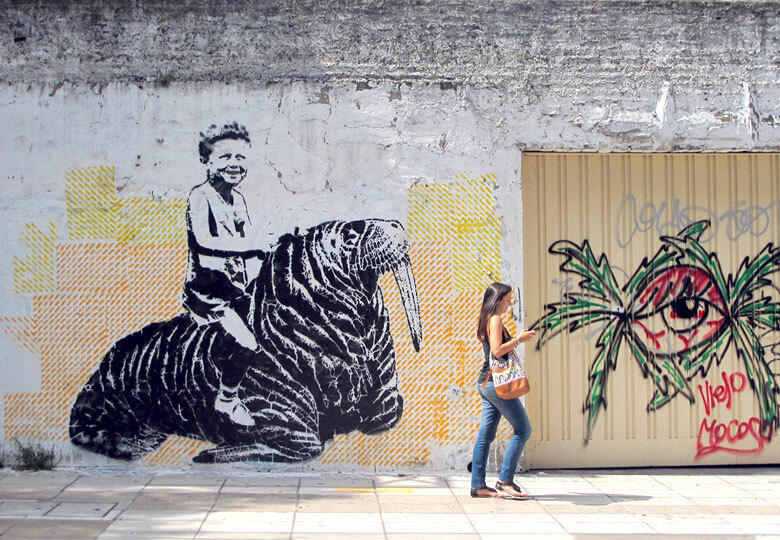 rundontwalk formed in 2002 and was one of the earliest street art collectives to begin painting in Buenos Aires in the wake of the Argentine economic crisis of 2001. 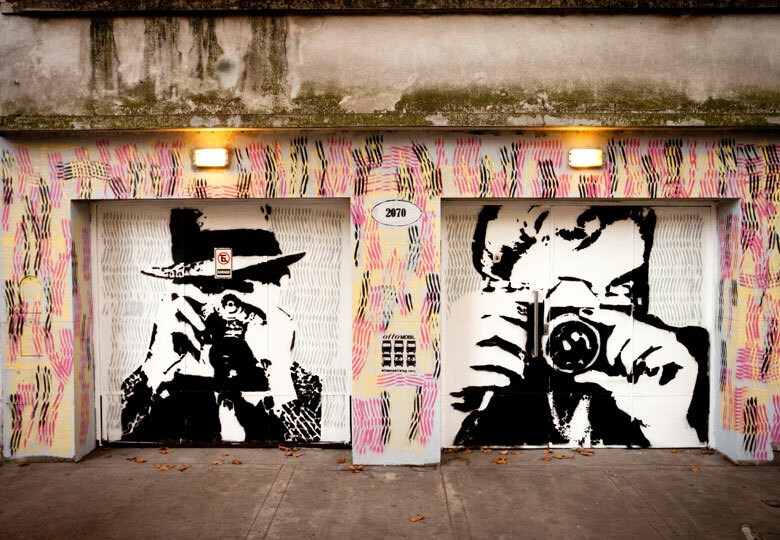 Composed of artists Tester Mariano (Tester) and Fede Minuchín, RDW became a pillar of the Buenos Aires scene, thanks in large part to contributions made by Minuchín, who works exclusively with stencil in his public work. 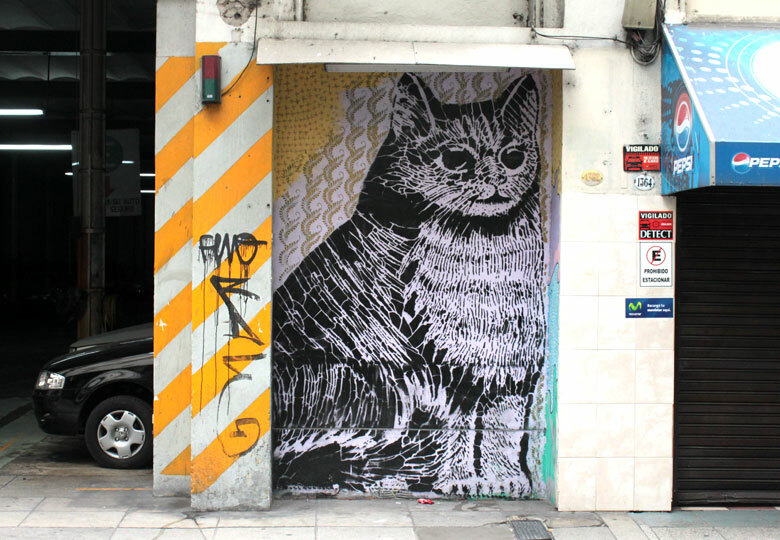 While stencil art in other countries became popular as a way of minimising time spent painting in the street, rundontwalk have taken full advantage of the relative tolerance shown to street art in Buenos Aires. Over time the collective’s works have become increasingly ambitious in complexity and scale, resulting in masterful stencils that would be impossible to put up in less permissive environments. The work of RDW has been heavily influenced by punk and skate cultures and pieces frequently explore social themes, satire and politics. While the group often encodes provocative messages in their clever combinations of images, rundontwalk is equally well known for its playful works, especially its series of exotic, domestic and hybrid animals. In 2006 they were two of a group of six artists who launched Hollywood in Cambodia, an artist-run urban art gallery in Buenos Aires.